REGISTRATION FOR REC AND TRAVEL PROGRAMS IS NOW OPEN!  Click on the banner above to sign up for the winter 2018-19 recreational basketball programs or to pay for travel team fee. Recreational programs will begin the week of December 3 and run through February 15. League: Players are evaluated and a draft format is used to form teams; all participants are placed on a team. Teams will play against each other as well as Denville PAL teams. In Town League: Players are evaluated and a draft format is used to form teams; all participants are placed on a team. League: Players are evaluated and a draft format is used to form teams; all participants are placed on a team. Teams will play against each other as well as Denville PAL teams. Frequency 2x per week. Open Gym: Supervised open gym for skill improvement and scrimmages once per week. Frequency 2x per week.